Dr. Mark Frankle started the Tampa Bay Foundation for Mental Health after his wife Mary committed suicide in 2014. TAMPA, Fla. — Dr. Mark Frankle decided to turn his grief into something positive, even hopeful. The wife of the renowned renowned orthopedic surgeon committed suicide in 2014. With the help of psychiatrist Dr. Jamie Fernandez, Frankle launched the non-profit organization Tampa Bay Foundation for Mental Health . “I think it was part of my therapy in some way,” Frankle says. Not only will Frankle's foundation guide people to the right mental health care, it aims to erase the stigma and oppression often leading people to forgo help altogether. Dr. Frankle will host the 5K Run/Walk for Wellness on Tampa’s Riverwalk on February 10. Everyone is welcome to participate. 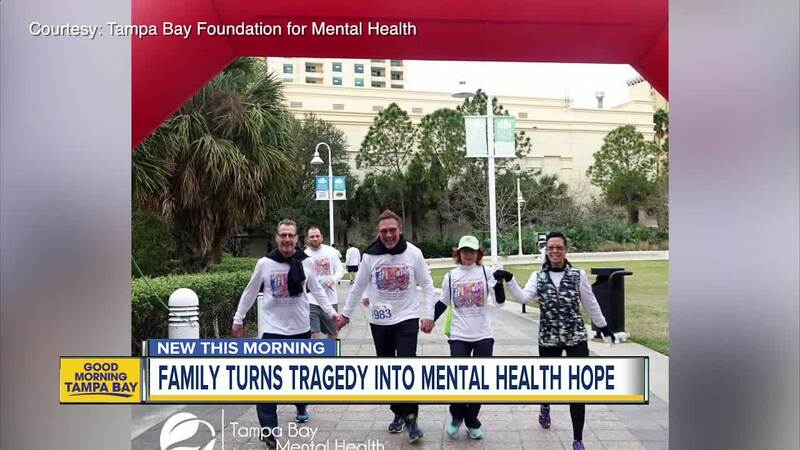 Dr. Fernandez, who is the president of the Tampa Bay Foundation for Mental Health, says Frankle’s ability to mourn his wife in a positive, healthy way is beneficial for all. If you or someone you love is feeling helpless or depressed, free confidential support is available 24 hours a day by calling the National Suicide Prevention Lifeline at 1-800-273-8255.